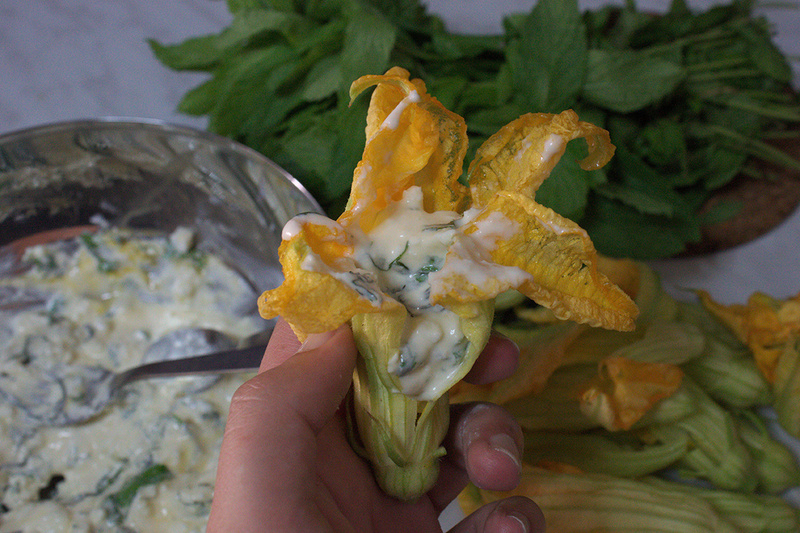 As you might have guessed I was duly stuffing my face with courgette flowers for lunch the other day! I visited the local farmers’ market which is held once a week in every neighbourhood. In my neighbourhood, it is rather large and takes up something like 6-7 blocks, maybe more. There is a lot of fresh produce, a bit of fish and other paraphernalia for the house. I am very proud for my courgette flowers. 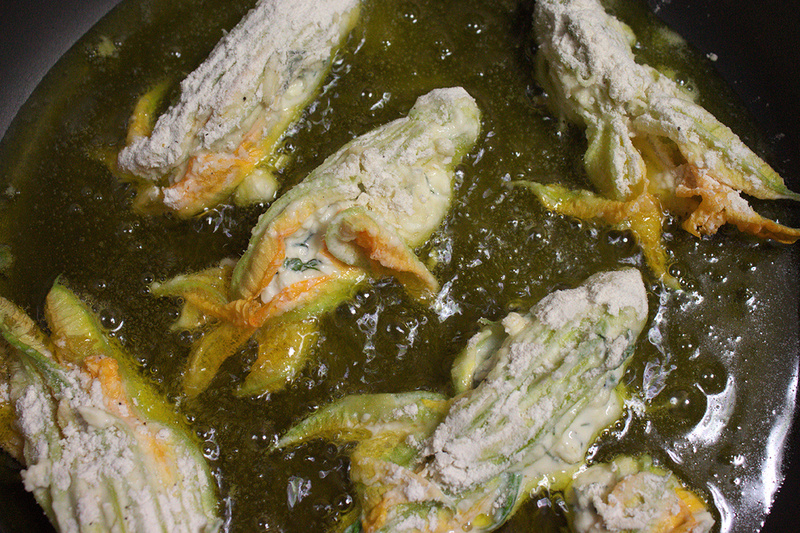 Now the courgette flowers. I cooked them on the fly whilst they were still as open as you can get them. 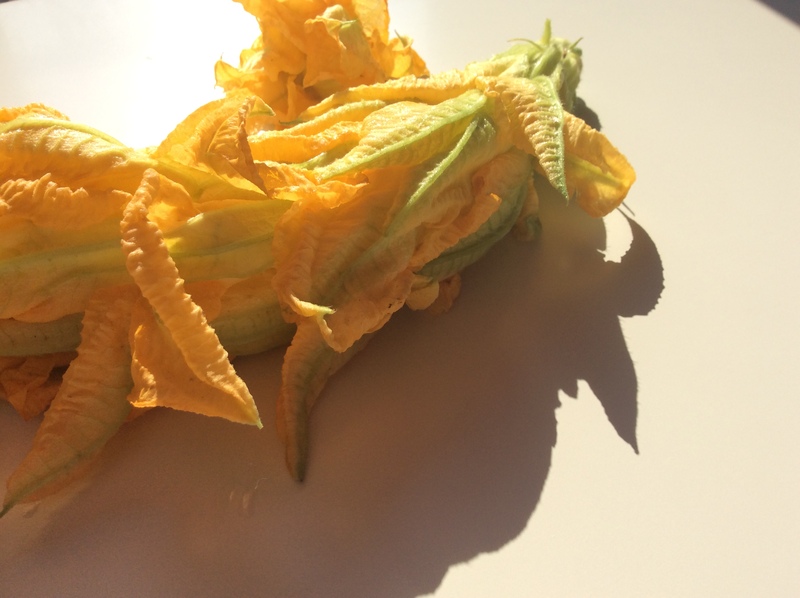 It’s the male courgette flower that you use before it actually becomes a courgette. Best picked straight from the plant, or failing that, bought from the market! And so, I grabbed a dozen. 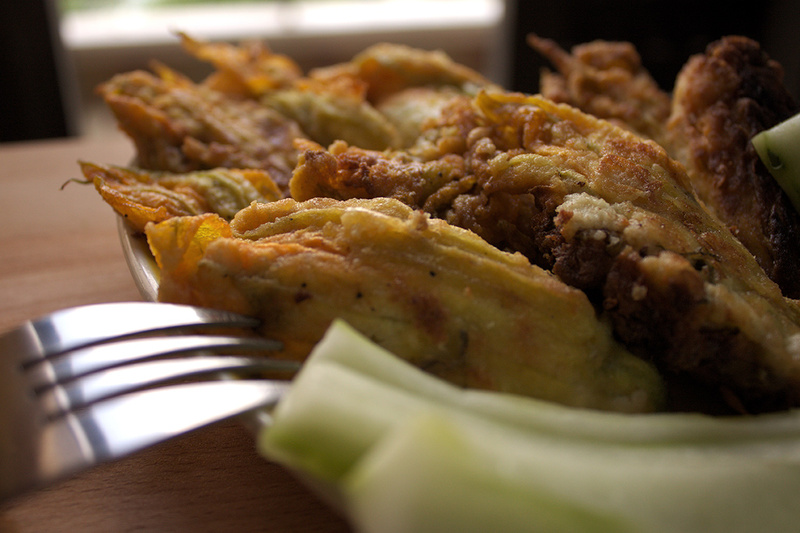 There are two recipes for courgette flowers, the casserole one and the quick one. It was too tempting to resist and I only made the quick fry version. I made a filling with a mix of feta cheese (150gr), yogurt (100 gr), dill, mint and one egg. After cleaning the flowers – stems have to be removed, very carefully – I stuffed them, rolled them in flour and ta da!